The Church of Scotland’s first female Minister of Word and Sacrament, the Rev Euphemia (Effie) Irvine, has died. 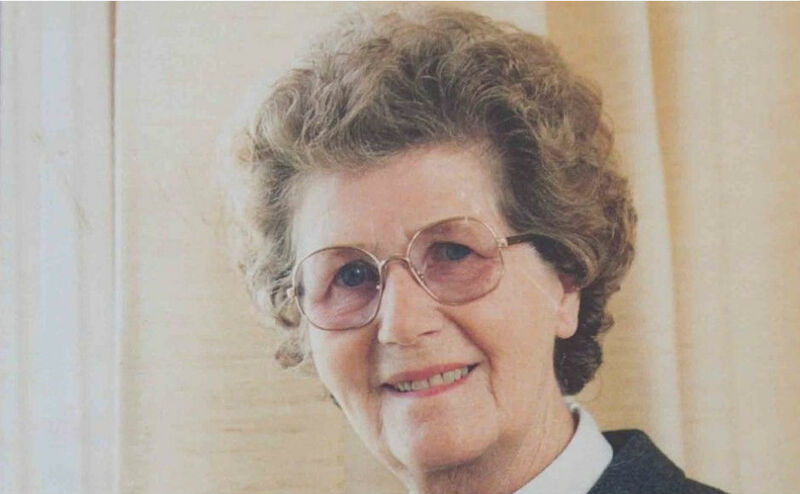 Mrs Irvine, who made history when she was ordained to the linked charge of Campsie Trinity with Milton of Campsie on June 1 1972, passed away on February 1, aged 93. Paying tribute, former Moderator of the General Assembly, the Very Rev Lorna Hood described her as a ‘great communicator and exceptional pastor’ and ‘an inspiration’. Mrs Irvine grew up in Whiteinch in Glasgow, where her parents were members of Jordanvale Parish Church. She was a housewife for 16 years before deciding to become a religious studies teacher. However, when she was a year into her course at Glasgow University, the Church of Scotland made the decision to admit women as ministers. Six years later the linkage between her two parishes was dissolved, and Mrs Irvine stayed on as minister at Milton of Campsie until her retirement in 1988. In 2003 she published her autobiography, ‘A Journey of Faith’. Following the announcement of her death, the current Moderator of the General Assembly, the Rt Rev Derek Browning, said: “In 1972 Effie Irvine became the first female minister ordained into a parish when she became minister of Campsie Trinity Church and Milton of Campsie Parish Church. She overcame in very short time the initial controversy that surrounded her appointment by going on to win people over by being an excellent minister to her community and gave tremendous support to the people in her parish. She was so well loved that Irvine Gardens in her parish was named after her. Mrs Irvine’s funeral will be held at Bishopton Parish Church on Tuesday 13 February.